Manila, Philippines – the proposed joint exploration of natural resources in the West Philippine Sea (WPS) between the Philippines and China has paid off when the latter expressed its willingness to conduct the 60-40 proposition. 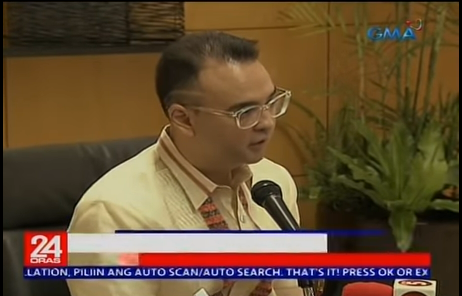 Department of Foreign Affairs (DFA) Secretary Alan Peter Cayetano said that 60 percent would be for the Philippines and 40 percent will be for China. "That's our starting proposition and our Chinese counterparts are open to it," said Cayetano in an interview report by 24 Oras in GMA 7. The DFA chief revealed that concerned authorities are still creating the framework agreement for the possible joint exploration. Officials from the Department of Energy (DOE) and the Department of Foreign Affairs (DFA), Chinese officials, and international law experts would meet to discuss the issue, Cayetano added, hoping to finish the draft by August. Cayetano, however, cleared that there is still no definite region in the West Philippine Sea (WPS) in which the possible joint exploration will be conducted. Meanwhile, security analyst Rommel Banlaoi deemed this as a "breakthrough," but warned the Philippine government to ensure that this development with China would show the Philippines asserting its sovereign rights over the region. "Dapat maipakita natin na ito ay isang exercise ng ating sovereign rights at hindi tayo nagkokompromiso sa China at wala tayong ginigive-up na kahit anong karapatan natin sa area na 'yan. Otherwise mapagdududahan 'yung arrangement natin with China," Banlaoi said. Earlier, concerns were raised that this joint exploration is a violation of the Philippine Constitution, but Macanang reiterated that doing it is legal. "[A]s between the Philippines and China, China’s claims to historic rights, or other sovereign rights or jurisdiction, with respect to the maritime areas of the South China Sea encompassed by the relevant part of the ‘nine-dash line’ are contrary to the Convention and without lawful effect to the extent that they exceed the geographic and substantive limits of China’s maritime entitlements under the Convention," the award read. The Permanent Court of Arbitration (PCA) under the United Nations said that there was no basis for China to claim historic rights to resources within the sea areas falling within the nine-dash line. However, despite it, Beijing did not recognize the ruling. When President Rodrigo Duterte came to power, the ties between China and the Philippines warmed and has gotten stronger. There have been reports earlier that China has continued militarization on some of the contested areas. Though some of President Duterte opponents have been pushing his administration to fight with China over the disputed waters, blasting the government’s silent move to assert the claim, he maintained that the country could not afford to go on war with China. The chief executive pointed out that war would probably result to great loss and destruction on the of the Philippine military.